Brunch parties are my absolute favourite. They allow for the most indulgent of breakfasts, debauchery before teatime and an early night’s sleep. 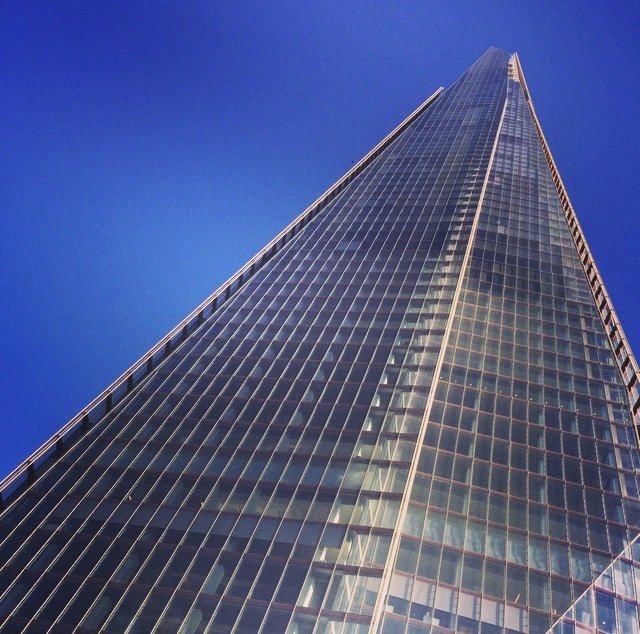 Make that brunch in London Bridge on a seriously hot Sunday at The Rooftop Cafe, under the soaring stalagmite that is The Shard – and you quickly forget that winter ever happened and London becomes the best city on earth. Greeted by a glass of bubbly or a selection of brunchy cocktails, I was grateful when the dinky breakfast canapés were served on the terrace. Homemade granola with a rhubarb and gin compote, Fresh baked beans with prosciutto bacon and Mini shakshouka, with a quails egg on top. They were so good I only managed to get a picture of the empty pots. The stars of the show are Leiths-trained Charlie Hall and Max de Nahlik, who whip up a storm in the kitchen from great seasonal produce. Once we were seated, the food just kept on coming. Scallop kedgeree with bacon and a spiced tomato chutney (delicious if a little heavy on the cardamom) was followed by Salt-beef hash with homemade pickles and an “hour-long” egg. (Not sure what an “hour-long” egg was, but it was damn good).